Help reach out to others when no other help is coming. 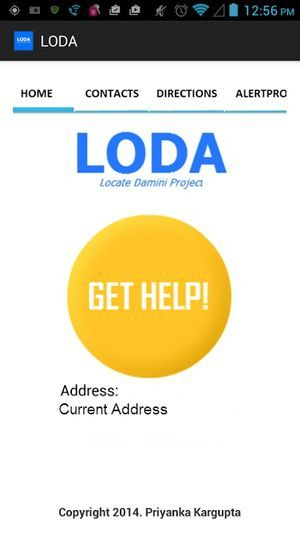 The LODA Project, also known as the Locate Damini Project, was created to help those in need when no one else is. 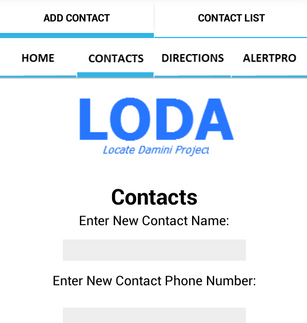 For now, as this version of the app (on the right) is version 1.0, LODA is able to send a notification/alert SMS to the users' preset contacts (user is able to load them straight from their Google contacts OR manually add them). 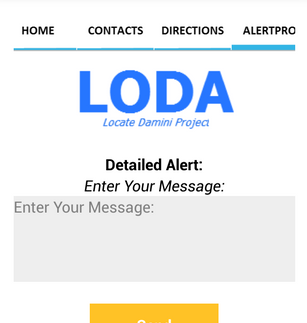 It is very simple to send an alert now with a large one touch button. 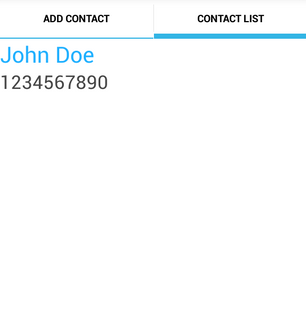 Also, LODA now gives the user the fast and easy option of simply shaking their phone to send the SMS. This is very beneficial in times of an emergency. 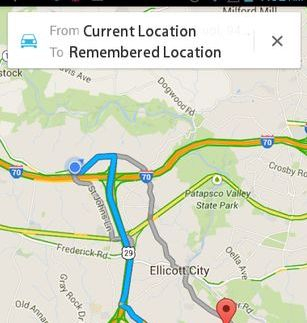 We also provide a detailed alert AND addresses for their current location and a remembered location (ex. home, a safe place, and etc.). 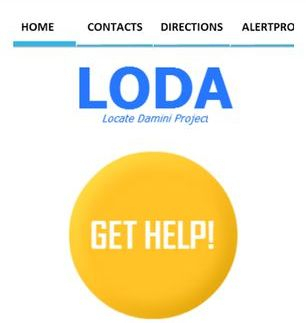 Not to mention that it now has a new logo and a fresh new look with LODA Pro. 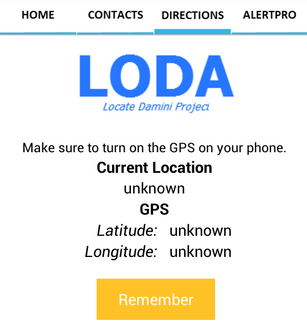 LODA Pro also provides the user to get quick and easy directions from their current location to the remembered location just with a click of a button! On December 16th, 2012, a tragic event occurred in New Dehli, India. A young girl (23 years old) and her male friend was attacked and raped on a bus. The attack was so violent that she was in extremely critical condition and had to undergo five surgeries as she suffered from brain damage, pneumonia, and abdominal infection. She died on December 29th, 2012. Her name remain unknown, however many call her Damini, which means 'lightning' in Hindi. This absolute tragedy helps one realize how anyone can be a victim to these sort of horrifying attacks and how it could have been prevented through immediate help. Apparently, they were left outside waiting for help, however no one came to help them. When I heard about this, I simply could not accept the fact that tragic events such as this would continue to happen. How can we stand and watch while someone is in need of urgent help? Then, I imagined how I would react to the situation if one of my loved ones were in the situation and decided that if anyone was in an emergency and informed all of their loved ones of it along with their location, many of them would definitely hurry to the situation. Then, even if I was limited in resources and knowledge as I am a middle school student, I decided to act. Hopefully, as we improve the app, it will make a difference.